Our places are good gifts; home is how we begin to know who we are. Yet when we use the gifts of our places—when we use the suburbs— as “ultimate things,” like pastor Tim Keller is fond of saying, we worship them. If God is our host who prepares a table for us and the bread of life we feast on, then he is intimately concerned with our hungers. He’s concerned about meeting our physical and existential rumblings. Finding Holy in the Suburbs: Living Faithfully in the Land of Too Much is born today! I just can’t believe the day is finally here. Bringing a book to publication is quite like birthing a baby — there’s the waiting, the agonizing, the quiet moments of unseen struggle and growth, There’s the sharing of the news and preparing a path to launch something creative and soulful into the world. Then comes today and we learn (just like with real babies) to let go and release them. So today isn’t about me. It’s about YOU. It’s about YOU #FindingHolyintheSuburbs. Thanks to Grace P. Cho for this shot and Amanda Johnson for the gorgeous lettering. Sharing a Photo — If you have the book, snap a photo of the book in your neighborhood. 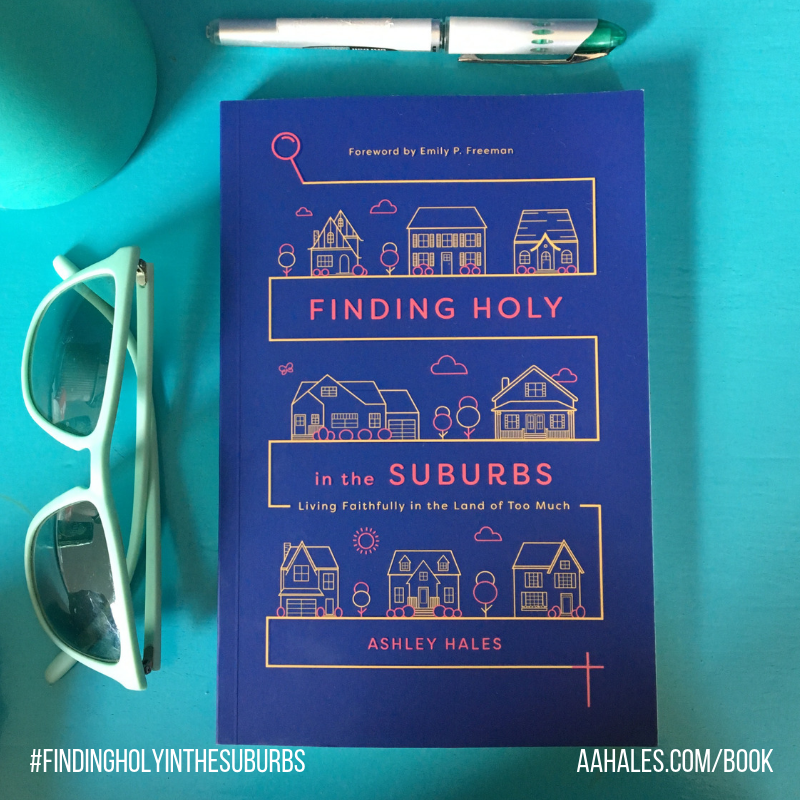 Tag me at @aahales on your favorite form of social media and add #FindingHolyintheSuburbs. Reviewing it — If you’ve read the book, review it wherever you like to shop. This is huge for first-time authors to get their books seen. Thank you! Purchasing the Book — Buy the book and share the giveaway below! 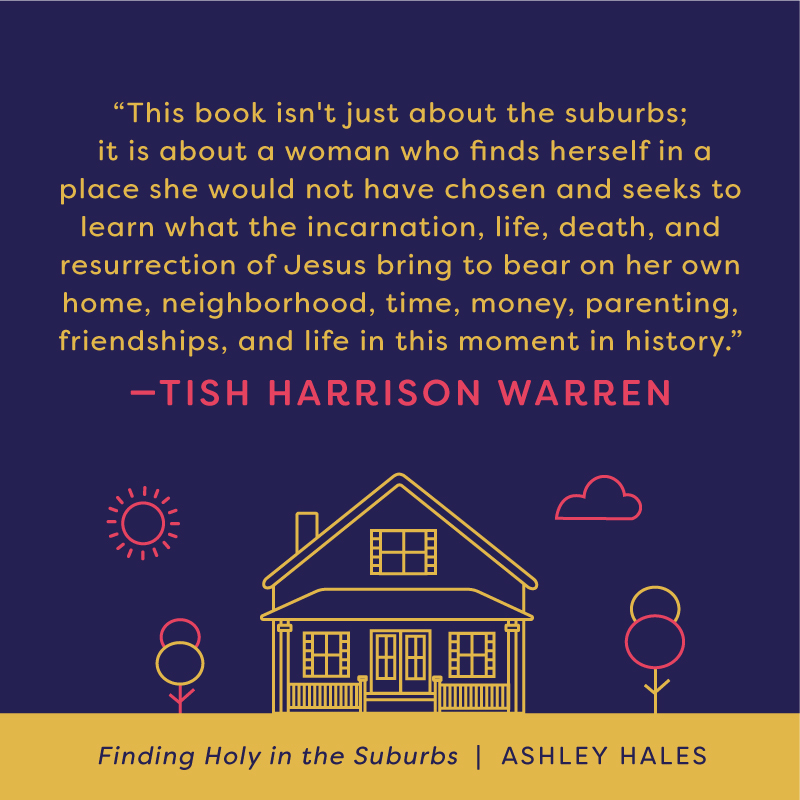 I’d love for you to read a copy of Finding Holy in the Suburbs! So I’m giving away FREE AUDIBLE COPIES and FREE PAPERBACK COPIES (to US and Canada). All you need to do is SHARE! Tweet it on Twitter, share on Facebook or Instagram! Make sure you tag me at @aahales and use the hashtag #findingholyinthesuburbs. Include a link to the giveaway (https://bit.ly/2R5Aubp) or Amazon page (https://amzn.to/2J6a5HI). I’ll collect them all and put them in my baseball cap and contact the winner!! GIVEAWAY ENDS MONDAY OCT 30. Books are never born in isolation. The team at InterVarsity Press have been amazing — from editing, to permissions, to sales and marketing. It’s been a joy to work with them. I’m also blessed with writer and real-life friends to encourage me. One such friend with Redbud Writers Guild is also having a book baby today too. Erin Hawley, has a book coming out today too! It’s called Living Beloved: Lessons From My Little Ones about the Heart of God. Check it out, especially if you’re a mom in need of some encouragement! I can’t wait to see how you are #FindingHolyintheSuburbs! !